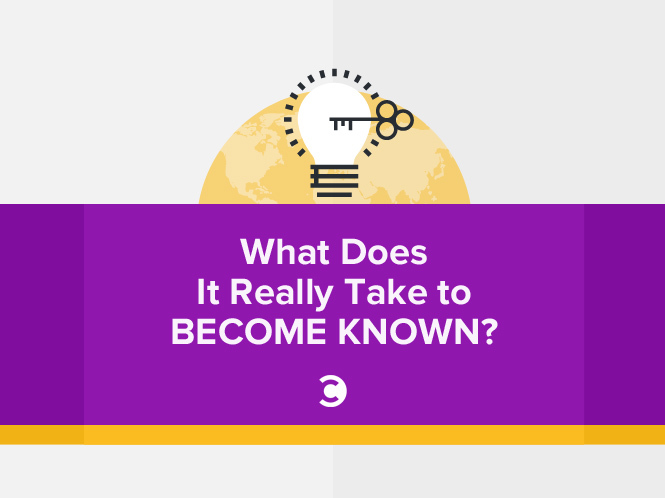 What Does It Really Take to Become Known? A few years ago, Jay Baer and I got into a little debate (which is not unusual at all when we are together!). I wondered aloud if anybody could become known in the world if they wanted to. After all, nearly everyone can publish on the web and find their voice on a topical niche today. If they worked hard enough, could anybody become an authority on something? This conversation, and Jay’s comment, drove me crazy. It haunted me. I really wanted to know the answer to this—is there an actual process a person could go through to become known? I could not get this out of my head, and for three years, this question became my tennis ball. Huh? Let me back up a moment on that tennis ball thing. I can relate to that. This obsessiveness is what drives me to solve marketing problems for my clients and write my books. Once I see a big problem people are struggling with, I can’t rest until I figure it out. And this debate with Jay became my tennis ball. I chased that question like a dog, month after month after month! Being known is not the same as being famous. It’s not about having millions of fans and red carpet appearances. Being known is about approaching your web presence with an intent that creates the proper authority, reputation, and audience to realize your potential and achieve your goals, whatever they might be. To answer this question, “Can anybody become known?,” I interviewed about 100 people who are “known” in their field. I talked to people who are regarded as thought leaders in education, real estate, retail, construction, business, medicine, finance, fashion, music, art, and many more. I talked to people in Africa, Asia, Brazil, Canada, Australia, America, Mexico, Europe, and the Middle East. They found a distinctive, sustainable interest (which is different from a “passion”). They found an uncontested space to publish content. The created excellent content consistently, for years. They worked tirelessly to nurture an audience big enough to matter. After chasing my ball for so long, I’m convinced that with some introspection and effort, you can create a tailored plan exactly right for you, and that you (yes, you!) can become known. Well, maybe. Here’s the catch: These four steps are neither quick nor easy to accomplish. How Long Does It Take to Become Known? Of all the people I talked to, how many of them were able to break through after one year of hard work? None. Not one of them! How many were able to break through after two years of work? Some of them. But most of them took between two and three years of consistent effort to reach that tipping point and achieve their personal and professional goals. What I found is that the true key to becoming known isn’t passion, being the expert at something, or even having that big idea. It’s consistency. In this world, passion is common. Endurance is rare. At the end of each interview, my last question to these amazing people was, “If you could reach out and provide one piece of advice to encourage the readers of this book, what would it be?” Nearly all of them mentioned a variation of the word “resilience.” Constancy. Tenacity. Grit. Do you have what it takes? Can you find your tennis ball? I hope you’ll check out the new book and find out for yourself. Perhaps it’s your turn to become known.